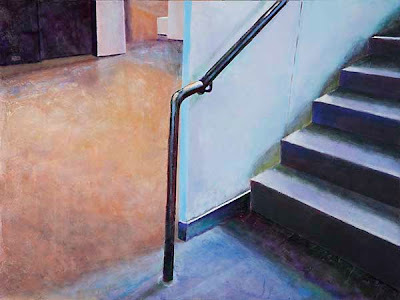 I seem to have produced several new paintings with stairways in them. Now that I think about it, is this because of the stairway I must traverse in order to get to my studio? See my last blog post to enjoy a view of that set of stairs. What is in Your Studio? Is it Dinging and Tweeting at Me Again?